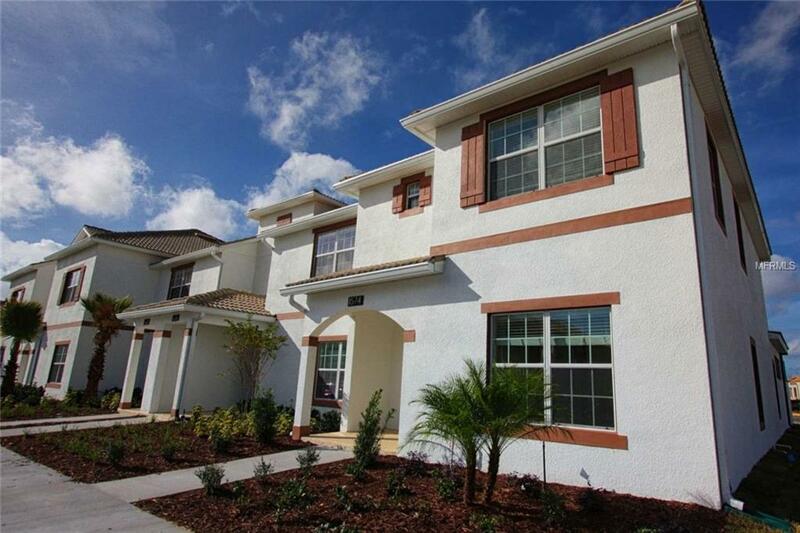 PROFESSIONALLY decorated and FULLY FURNISHED, 5 Bedroom 4 Bathroom End Unit Town Home in Champions Gate Resort, only moments from the entrance of Walt Disney World.Style and class grace the interior of this home with professionally designed touches and modern furniture. 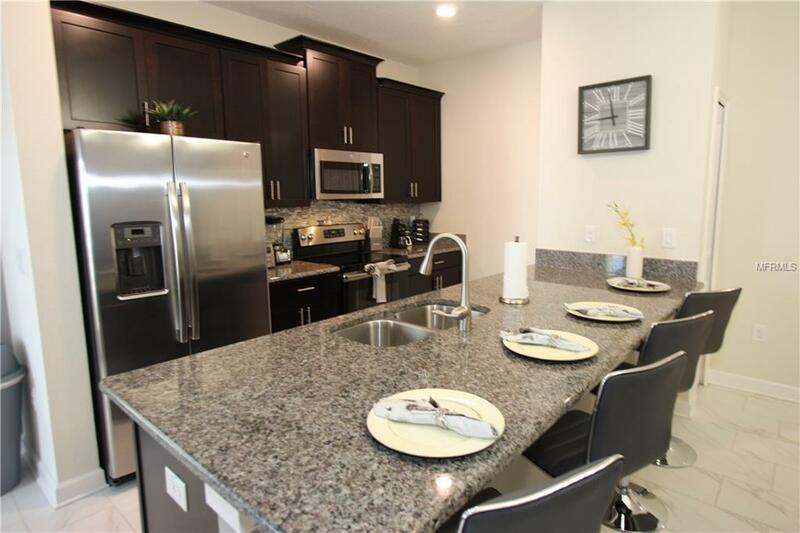 Colorful and comfortable, that is YOUR next vacation home!Tiled flooring throughout the main areas. 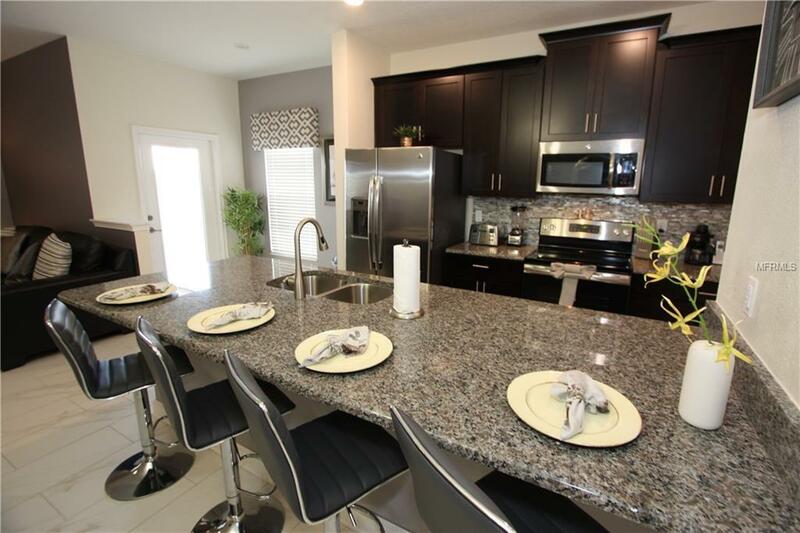 Open floor plan makes family and friend time easy - The Living Area, Dining Area and Kitchen are arranged for perfect time together.Dining Area has seating for Eight (8) with additional seating for Four (4) at the Breakfast Bar. 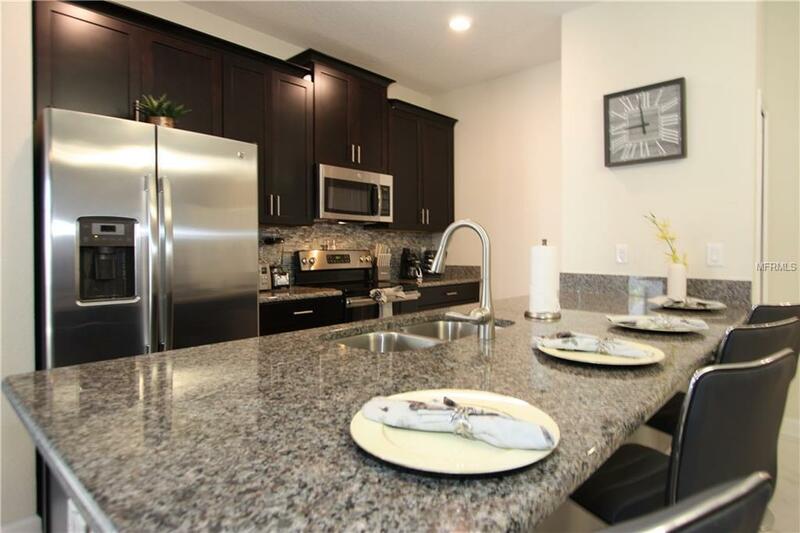 The modern Kitchen boasts beautiful Stainless Steel appliances, Granite Counter Tops and is fully stocked for your cooking needs.Access to the Private Splash Pool Area is off the Living Area. Enjoy the days outdoors in your Private Splash Pool Area with Patio Seating for Four (4) and Two (2) Sun Loungers. Listing provided courtesy of Truvalor Realty Llc.